I make no apologies for the fact. He’s my new muse and I’m just so happy to be including him in my art as well as the rest of my life! 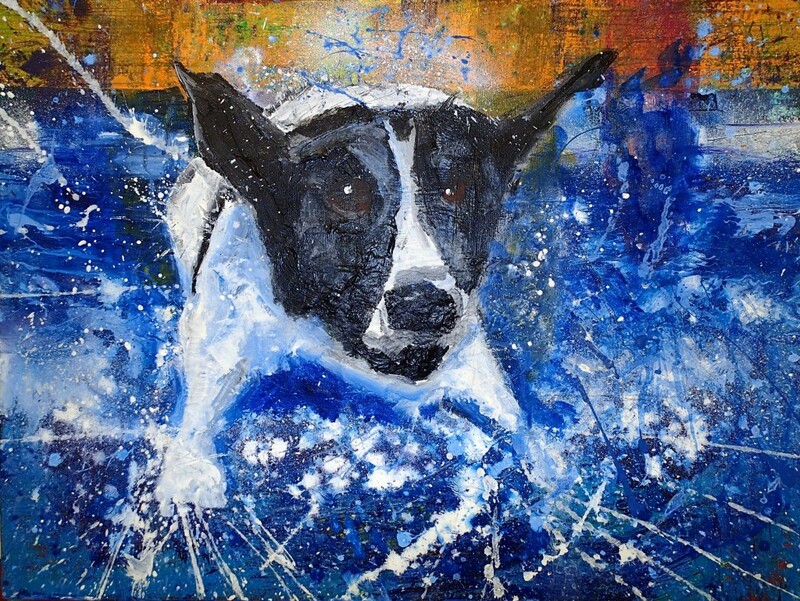 So here is a painting of him doing what he likes better than anything else…well apart from eating maybe….playing in the water.